This presentation shines light on the currently popular relationship between Art and Science, and how this linkage is actualised through Technology. I address what is possible in this relationship and what is not, and how to work together with scientists from an artist’s point of view. As a starting point I use examples from my own artistic practice, specifically my latest piece ‘ANIMA’. 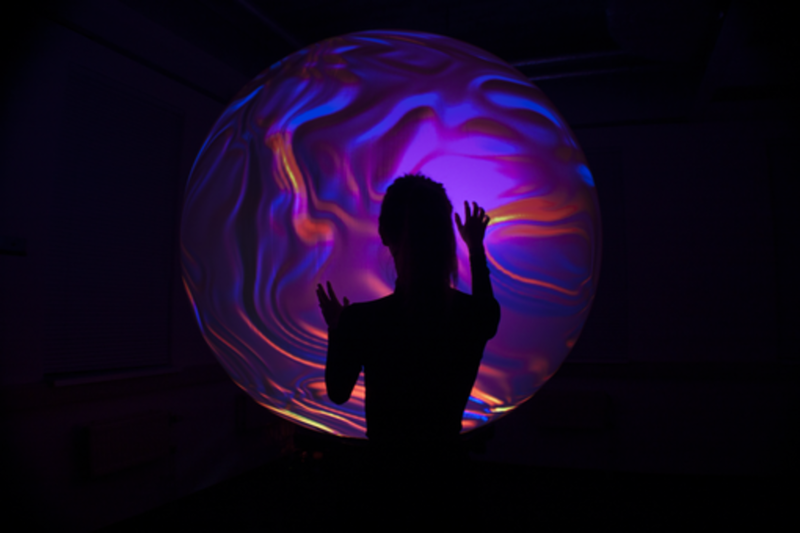 This immersive interactive AI installation, which we call a ‘digital entity’, interprets body movements and sounds from observants, and communicates by expressing its emotional state through an emulated digital fluid on it’s spherical surface. In the process of constructing this installation I worked together with artificial intelligence researchers in order to create an intelligent interaction model. Nick Verstand is a Composer & Installation Artist based in Amsterdam. Over the past ten years he has started and led two creative agencies, performed across Europe as an electronic music artist, programmed cultural events, managed artists, produced & composed music, researched scientific developments through new technologies and built and exhibited interactive art installations. Today he researches consciousness to investigate our perception of reality through technology. His work focuses on creating interactive experiences in immersive transformational spaces operating on the cross-section of art & science together with a multi-disciplinary team.